Even before the Golden State Warriors were the Golden State Warriors, they loved terrorizing the Clippers. They will have another opportunity to continue this tradition. The Warriors went through the regular season in a ho-hum fashion. If you take out the techs and manufactured drama by Kevin Durant and Draymond Green, it’s been a solid year for the defending champs. 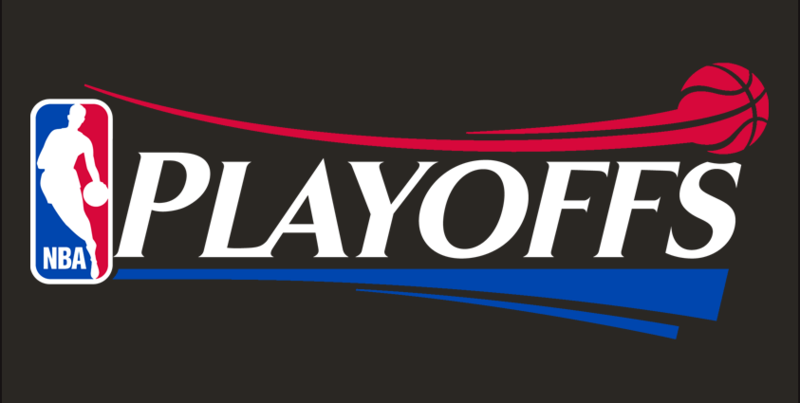 Expect them to activate playoff mode and try to dispatch the Clippers as fast as possible. This will be a good series to get DeMarcus Cousins going. Klay Thompson could easily lead the team in scoring in the series especially with Patrick Beverley concentrating on Steph Curry. Defensively, the Warriors starters led the league in Defensive Rating at 95.1 points per 100 possessions Warriors starters led the league in Defensive Rating at 95.1 points per 100 possessions. Doc Rivers getting this team in the playoffs should finally shut up his critics. The Clippers were in a rebuild and managed to be the best team in Los Angeles not only in wins but also in being drama free. The Nuggets spent time at the top of the Western Conference before the Warriors over took them down the stretch. This forces them to open out with a tougher series than most 2 seeds see in the first round. The Nuggets and Spurs split the season series both teams winning at home. The Spurs haven’t won in Denver since January 5, 2017. Denver doesn’t have the playoff chops so winning at home is a must in this series. They were 13.1 points per 100 possessions better at home than on the road13.1 points per 100 possessions better at home than on the road. This series will boil down to two factors. Can the Spurs contain Nikola Jokic? If Jamal Murray doesn’t have a big series, can Denver close out the veteran Spurs? When looking at Jokic’s numbers for the season in comparison to the Spurs, his offensive numbers dip in several categories. But, his assist ratio numbers rise. This means players like Murray, Gary Harris, Malik Beasley, and Monte Morris will need to knock down shots when they have the opportunity. The Spurs will need above average series from LaMarcus Aldridge and DeMar DeRozan. Both will have to be good on both ends of the floor. They’re capable of doing that. Damian Lillard versus Russell Westbrook might be the most intriguing individual match-up of the first round. The two players have plenty of things in common including both wanting to stay with their current teams in an era where superstars move around. Both teams are coming off brief disappointing playoff appearances last season. The Trail Blazers were dispatched by the Pelicans while the Jazz thoroughly frustrated the Thunder. Both teams will be motivated to atone for first round exits last year. Portland is still working around the loss of Jusuf Nurkic. They’ve bridged the gap with Enes Kanter but is that enough against a player like Steven Adams? The Thunder will need to lean heavily on their defense. They can defend 1-5 but there should be a heavy emphasis on limiting Lillard in pick and roll and CJ McCollum. OKC also comes in with their own injury concern. Paul George has been playing through shoulder pain but the Thunder know they can’t win the series with George being a major factor. Despite the fact that the Thunder swept the Trail Blazers during the regular season, this series shapes up as a toss-up. If there’s a team no one wants to see in the first round, it’s the Utah Jazz. The two teams split during the regular season. By slipping to the 4 seed, the Rockets know if they get by the Jazz, they’ll have to face a well-rested Warriors. That’s why it will be important for Houston not to let Utah hang around in the series. James Harden certainly has an argument for MVP but the series could come down to how the Jazz deal with Chris Paul and who wins the Rudy Gobert-Clint Capela duel. If the Rockets can attack Gobert with a certain level of success, it will be difficult for the Jazz to win the series. Utah’s success against the Rocket have come on the defensive end where they held Houston to 99 points per 100 possessions. Utah’s success against the Rocket have come on the defensive end where they held Houston to 99 points per 100 possessions. That’s the best any team in the league has done against Houston. Harden and Paul have a lot of pressure on them to perform in the playoffs. The time is ticking on both players if they want to be a championship level team. With Golden State looming, the Rockets can’t look past the Jazz or this series could end with an upset.